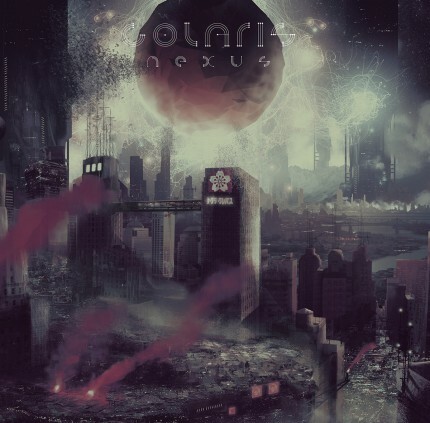 Related links to "Colaris - Nexus 2xLP"
Colaris is an instrumental band from Pirmasens/Germany The bands sound can be described as a blend of heavy, driving and melodious parts, as long as some intricate and also catchy passages. Comparisons to well known bands of the genre are up to the listener, all band members have various influences, which makes it hard to reduce it on some names. Three years and two releases after „Renewal“, Colaris escape into this place far beyond reality, but do not forget about the darkness and misery of the real world. Shelter, consolation or escape – the personal Nexus exists in many forms, but Colaris evoke their own Nexus, a record which songs are the result of many ups and downs in the last two years of the bands existence. The music absorbs and surrounds the listener until the Nexus finally explodes and burns out with the closing „Harvest (Nexus pt.2). Recorded at the Rama Studios Mannheim (Ahab, The Tidal Sleep and more), Nexus comes with a natural and rough sound, the gloomy artwork is done by Luca Solomacello (www.solomacello.it).